Watching new product releases as we do, we've noticed a lot of "passive amplifiers" which connect to your phone and supposedly amplify the sound without power. You may notice that you've never seen any of them at Click!. That's because most of them look like disposable junk and sound worse. But recently something's been happening right under our noses in West Seattle. A local guy named Fritz Rud, operating under the moniker of Salv.co, had great realization: that people were amplifying sound without electricity years ago, and they made it look good. 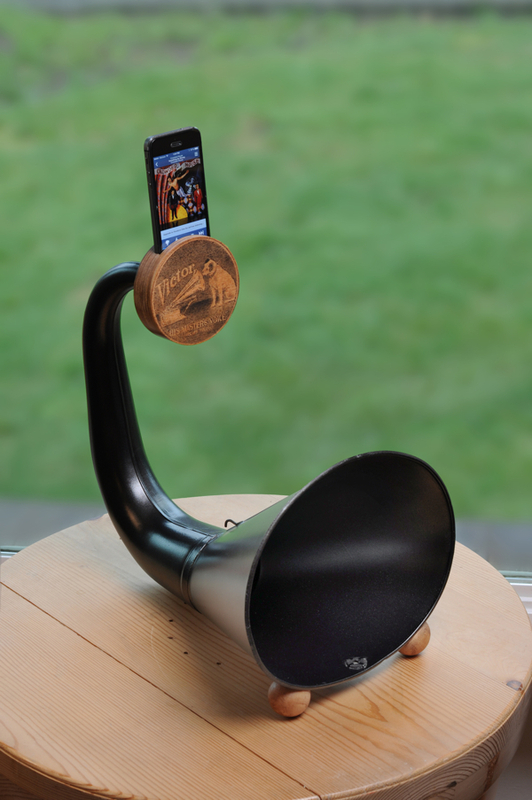 Now look at what he's done: He's made CUSTOM iPHONE AMPLIFIERS designed to passively enhance a phone’s speaker, no electricity required. They create a warm, vintage sound, typical of the materials used from the Edison era. 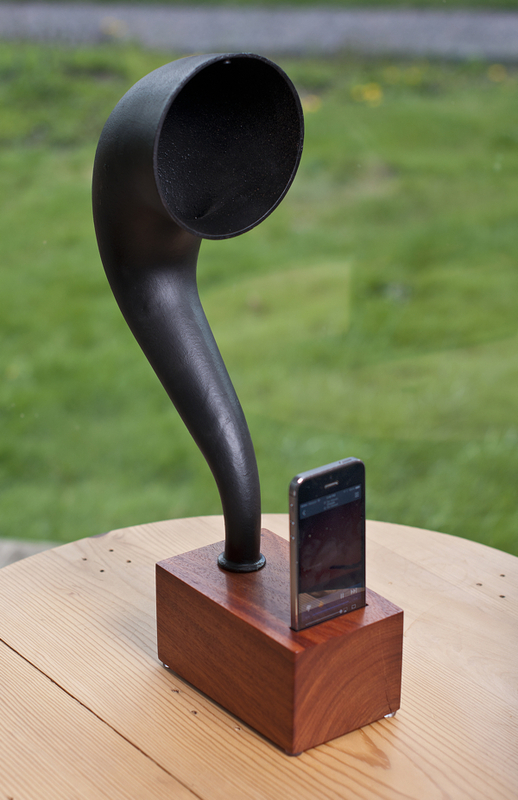 While more art than utility, each amplifier is a one-of-a-kind conversation piece that is both functional and beautiful. Fritz and his iPhone amps will make their worldwide debut at Click! Design That Fits Thursday June 12 during the West Seattle Art Walk, from 6 to 9pm. Come early, as you're probably not the only person thinking these would make a great Father's Day gift. All pieces are one-of-a-kind.